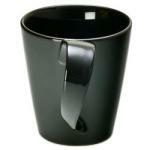 Coffee drinkers love their coffee mugs – you cannot deny that fact! The idea of sipping the perfect brew in an equally perfect mug every morning will make just about any coffee lover swoon with longing. And so, you – as a marketer –will definitely appreciate the amazing branding and promotional power that these mugs have for your business. Personalised printed coffee mugs offer the perfect way to launch a new product in front of an untapped audience without coming across as too commercial. They are useful, cost effective and are a highly accepted token of appreciation that you can extend towards your potential customers, and create awareness about your actual product brand. Let’s venture further into the world of personalised coffee mugs and understand why they are so great for promoting a product or brand. Coffee mugs can give your brand the wings it needs to reach out to your target audience and spread awareness about what you have to offer. This mug will become a regular part of the receiver’s morning ritual, so repeat impacts of your marketing message are guaranteed. You can also hand them over as promotional coffee mugs to local office owners where they can be used in their cafeteria. This way, your brand will become a part of every employee’s daily coffee break between work hours! Personalised coffee mugs will get you the biggest bang for every buck you spend from your product promotion budget. They can be used by almost anyone in your target audience, at home or at work! You are guaranteed to get maximum visual mileage from them as they are spread through your target audience and into the public eye. As users make these mugs a part of their daily coffee (or even tea) time, their friends, family members and general onlookers will also get influenced by your marketing message. They are a highly useful gift to giveaway to just about anyone and if you design them well, these promotional mugs can become a sure-shot way to winning customers’ hearts. Plus they have a long shelf life, so you can get repeated exposure from a single marketing expenditure for at least a year! What more can you ask for! Choose personalised coffee mugs and promote your product in style.